Docker requires root escalation in order to execute an image, that crates some problem with files creation. Let’s say that we share a volume from host to docker and we create a file structure from inside docker. bash -c "mkdir test && touch test/example"
drwxr-xr-x. 2 root   root   4096 Jan 22 22:50 .
drwxrwxr-x. 12 trzeci trzeci 4096 Jan 22 22:50 ..
Why this is even an issue? I’ve found this problem mostly annoying on local setup, as I need to use sudo for simple hose-keeping tasks. Another case when it’s very problematic is to use docker on Jenkins – as this prevents to remove workspace after a job is done. This time I would like to focus on some aspect that every C/C++ programmer is familiar with. That is preprocessor conditions. Before being crucified because of using #ifdef and C++ in the same sentence. I would like to confess, that this is still something frequently used. #ifdef is a preprocessor condition, that includes containing code whether condition predicate solves to ‘true’. It might be useful to make sure some code will be never compiled. So far so good, let’s just compile our project with: g++ -DWITH_CONTENT_VALIDATOR=1 and see if everything works. It does. Sweet! No tests are required now, so let’s disable them by setting -DWITH_CONTENT_VALIDATOR=0 and check. Wait! My tests are still executed! This page describes my journey of creating and publishing an NPM package and reflections about this process. 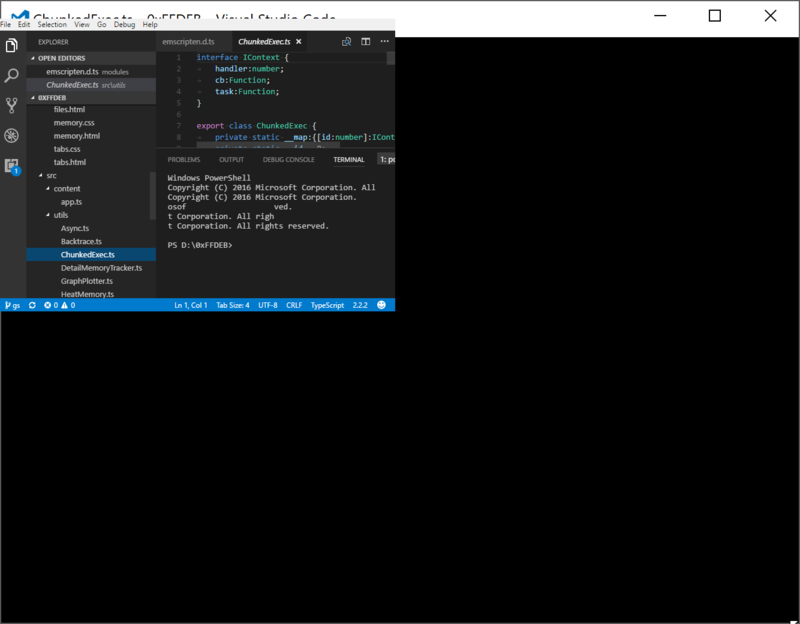 I have chosen TypeScript as a development language for the chunked-call library. Basically it’s a 3 function library with ~70 lines of code, it’s nothing special at all. My ambition was to publish something in a right way and I was positively surprised about the process and what enforced me to make it right. Please note that this page is not a guide about pushing stuff to NPM registry or how to create an NPM package project in your language of choice. For those it’s always better to see an official documentation for either NPM or for your tool/language. Some information here might be trivial for you if you develop on daily basis in JS/TS, to me as C++ developer they weren’t. Google trends, Apple, Google Chrome and plenty of developers put a cross on Flash. In my opinion without Flash the current web tech stack might look different. I wrote my first line of code in ActionScript 2.0 it was 13 years ago and it was streamlined with the style of web. Big boom of flash animations, letters flying around and flash menus. In addition I’m putting myself as the worst person on the World in terms of color matching. At the moment of doing it I didn’t know that I become a programmer, I liked PC though. I didn’t notice this aspect before, but after working as an engine developer I understood how hard is to provide clean API what is future-proof. As a noob I was able to deduce what some API call will do. For 8 year of working with Flash Player I don’t remember any problem with breaking changes. API was flexible enough to add new functionality, it was smartly designed around passing an extra configuration objects like LoaderContext. For the instance, when they added an asynchronous image decoding, it wasn’t done by an extra argument for function call, it was an extra property of context. KISS in practice. I love Dictionary with weak keys, and Object where you can put other objects as a key. I love typed Vectors, (And hate a little bit for weak performance even with fixed size, and conversion between them). I love for each..in loop. After research I’ve found that not only me is struggling with this device, and after having experience with two 9550 i7 4k I suspect that this device was released in hurry without proper QA and probably because of that Dell has introduced a successor 9560 what as far as I know didn’t inherit problems of predecessor. After having this deice almost 1 year, I wouldn’t buy 4k display, Windows and Linux have problems with supporting HIDPI and LowDPI displays at the same time (link). In many cases I have to double verify if the problem it’s not me. I mean I have highly customized system, like custom shell, own entries in system PATH, some tools what I use day by day. This issue was present when display was dimmed, it was pretty annoying at night, so that a comfortable work wasn’t possible. Fortunately this issue has been fixed with some of the recent BIOS update. So when I started to see that PC randomly freezes I did reinstall, then I did Linux installation, then I started to search on the Internet if somebody has the same problem. Apparently yes, many of people. In most cases people were pointing on SSD Samsung drivers, nVidia GPU or WiFi card. Unfortunately symptoms weren’t exactly how they described. Most typical example for me was watching YouTube video, then any IO stopped to work but video was playing nice, when the video went out of buffer it stopped to play. The problem was that, when I plugged it headset (any jack device) the right channel wasn’t playing. I had to use a file to expand a hole, so that any pressure was applied on jack and I started to play a sound correctly on both channels. You need to use Windows. Your project uses make as a base build system. You have available sh.exe as a system command. [Optional] You use CMake for a project generation. Conditions 1 and 2 are pretty easy to fulfill, for the instance you try to compile Emscripten or Android based project. Condition 3 might look pretty odd. Why sh.exe on Windows? To me it was a natural ripple effect of having Git installed with Linux like tools in system PATH. I just love to use ‘ls’ instead of ‘dir’ in command line. Blog was moved to trzeci.eu domain. The blog has been moved back from asria.pl host to trzeci.eu host. Nevertheless, the old alias will be still active as a 301 redirection (until DNS and CNAME will propagate). 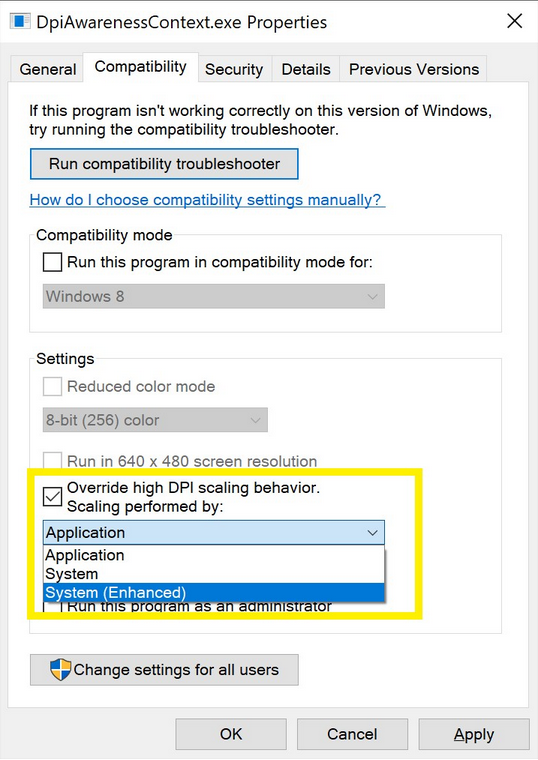 I’m right after install an update to Windows 10 Creators Update / 1703 and problem with scaling of some most applications has been solved by introduction new compatibility mode. After testing this for a couple of days I fount some glitches with Enhancement mode. On LowDPI screen: moving location “segment” somewhere in order to link it. Other software what has some issues with enhancement mode. This case applies on other applications, when improved compatibility mode is enabled. This is more like a notebook entry, rather than full tutorial. 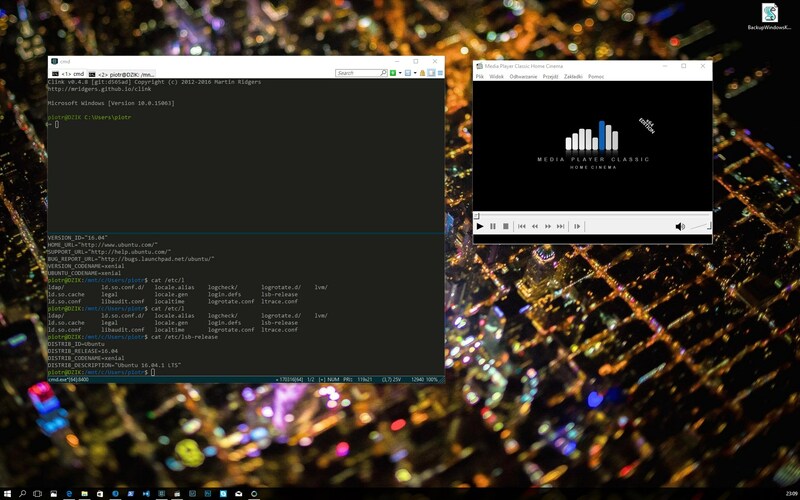 In this post I will describe how to install WSL on Windows 10, configure X11 to run any Linux application in GUI mode, and fix missing sound problem.